Free-standing, double wall chimney with a supporting couter wall and a non-expanding inner pipe for exhaust gases. The FSA system offers flexibility and large heights. Free-standing, double-wall chimney with a supporting outer wall and a non-expanding inner pipe for exhaust gases. The FSA system offers flexibility and large heights. Our complete line of boiler room equipment includes a wide range of boilers, burners, hot water heaters, feedwater systems, blowdown systems, fuel efficient equipment, control systems, oil heaters and stack systems. 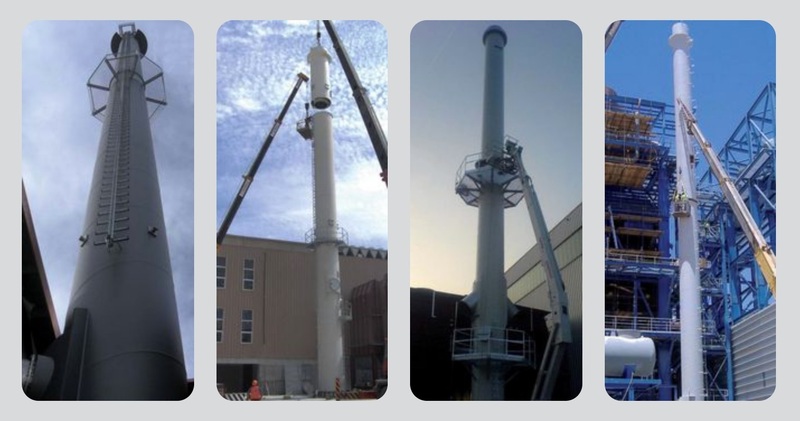 The Jeremias Group has more than 40 years of experience in flue and chimney production. Double wall and insulated conical pipe exhaust systems that use a unique steel surface to steel surface joint that is pressure and liquid tight without the need for silicone sealant. Models for single wall applications. Tips, rebates, updates, major notices and news from California Boiler.